Cat Town Café in Oakland, CA plans to be a great place to grab a bite, commune with cats—and maybe adopt one, too. Many attempts have been made, and some pop-ups have happened. 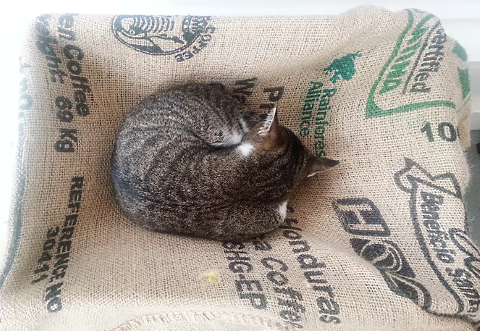 But no permanent cat cafés have made it to the U.S.—until now. 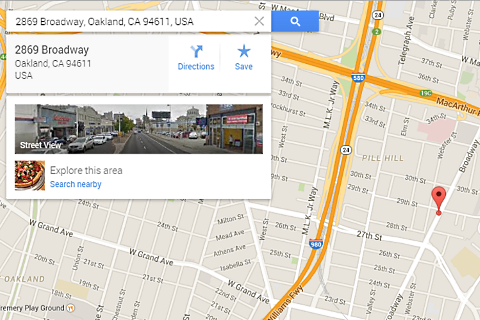 Fast Company reports that Cat Town Café is opening in Oakland, CA tomorrow. The grand opening celebration kicks off at 10 a.m.
Co-owners Ann Dunn and Adam Myatt are both active in the cat rescue community in Oakland. They saw the opportunity that Japan’s famous cat cafés offered, but noticed that Japan’s cafés don’t typically offer adoption opportunities. Meanwhile, Cat Town Café will. Dunn and Myatt saw their niche, and they worked hard to make it happen. 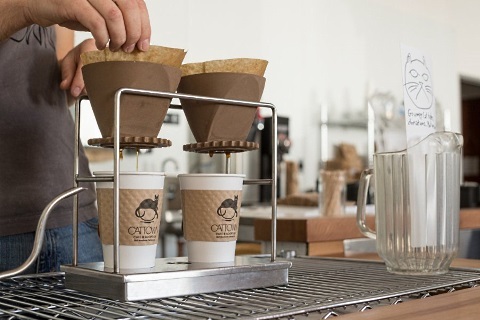 Opening a café of any kind is a challenge. Operating a cat rescue is a separate challenge. Putting both together is a brand new challenge entirely—especially when you consider health department regulations. Cat Town Café ended up separating the cafe portion from the Cat Zone, where all the cats will be waiting to chill out with visitors. 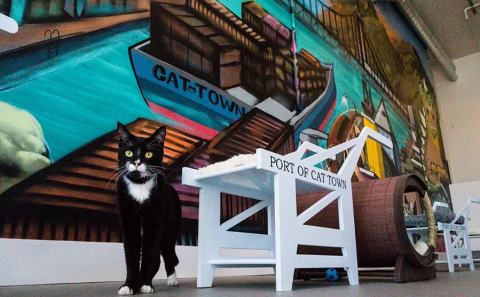 The whole venture seems like a fantastic destination for cat lovers, but what makes it even better is CTC’s commitment to Oakland. All food is being provided by local companies, including Bicycle Coffee and Authentic Bagel Company. FastCo describes the layout of the Cat Zone as being like a cat-sized Oakland, with cat furniture built to represent local landmarks, and local graffiti artists Bryan and T spraying beautiful cat-and-Oakland-themed murals all over the walls. If tomorrow’s too far away, or you can’t make it to Oakland in time, The Bold Italic got a sneak peek at CTC and posted a great photo essay here. For a $10 donation, you can make an online reservation for an hour of snuggle time in the Cat Zone. Regular hours in the Cafe will be 8 a.m. to 7 p.m. Wednesday to Sunday, with the Cat Zone being open from 10 a.m. to 7 p.m. on those days as well. So theoretically, after a rough day at the office, you could stop by the Cat Zone for a little purring pick-me-up.